Located on Interstate 80 along Lake Tahoe, Boreal Mountain Resort is one of the easiest resorts to access from Northern California and Nevada. 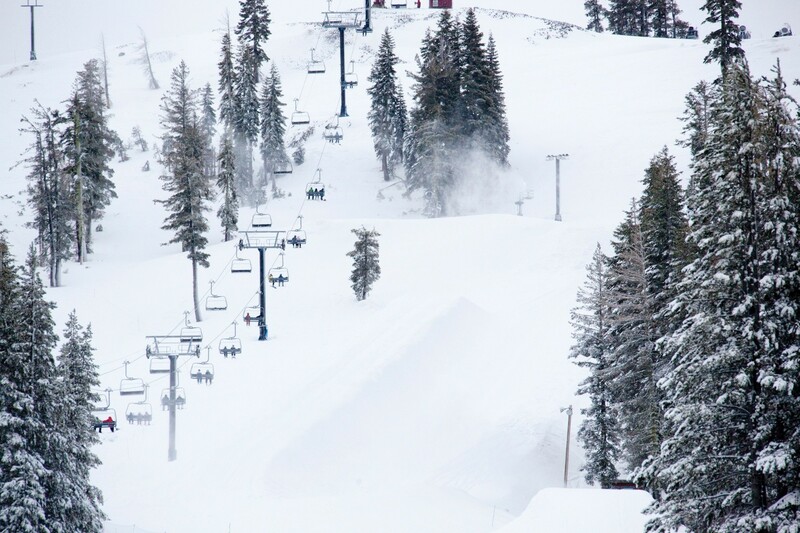 Boasting almost 80% snowmaking coverage, Boreal is one of the first Lake Tahoe resorts to open each winter. The mountain averages 400 inches of snowfall per season alongside 240 days of sunshine a year. The resort is home to family friendly terrain combined with more advanced intermediate trails. The resort is known for having a great atmosphere and provides spectacular views of the surrounding landscape. Open day and night, 33 trails are spread across 380 acres of skier and rider accessible terrain. Family friendly and freestyler friendly, Boreal is also home to five progressive terrain parks, including a Neff Land terrain park, and an 18-foot superpipe. Boreal also hosts the Woodward Tahoe training facilities for those looking to sharpen their skills all year long. Boreal Mountain Resort provides a cafeteria with a bar and lounge. Ski and snowboarding lessons offered for all ability levels. Kids Club. Woodward Tahoe facility is open year round and features summer camps, specialty programs and pricing. Neff Land terrain park.